My latest research brief looks at how the ABC system chafes at its original founding rationale — controlling people’s access to liquor — and desires it really to be about profit-maximizing. 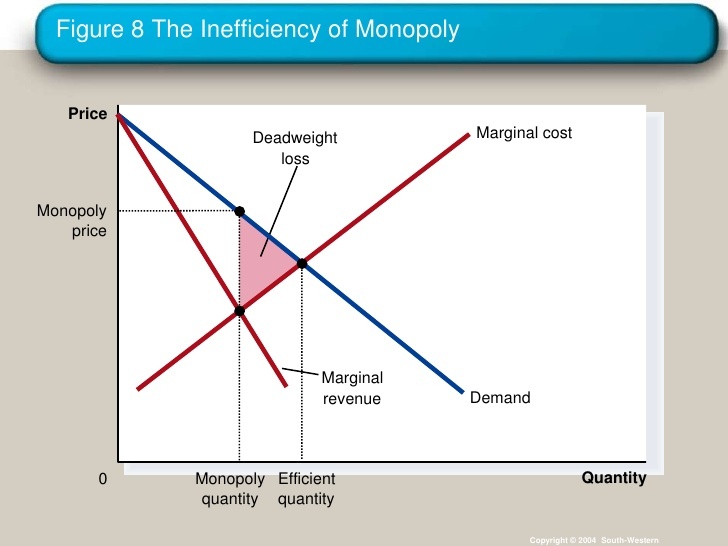 Turning a potentially competitive market into a government monopoly … creates inefficiencies, prevents many economic transactions that otherwise would take place, and creates deadweight loss. I realize economic charts aren’t for the faint of heart, let alone the ache of head, but here’s the gist. All that area inside the pink triangle represents all the economic activity that would take place in a competitive system but doesn’t, because it doesn’t maximize revenue for a monopoly provider. It represents the area of opportunity for competing providers to come in, serve consumers, and provide jobs and tax revenues of their own. Since they’re not, and since this gap exists only because filling it would decrease the monopoly’s revenues, it’s called (a) deadweight and (b) loss.